Attendee registration includes admission to all lecture sessions, poster session, opening reception on February 21, breakfast and lunch on February 22, breakfast on February 23, all refreshment breaks and refreshments during poster session. All fees are listed in U.S. Dollars (USD). "If you must cancel, the registration fee will be refunded less a $50 handling charge if notice is received by January 31, 2018. Cancellations received after January 31, 2018 will not be refunded." Healthcare professionals receiving a certificate of attendance should consult with their licensing board for information on applicability and acceptance. Continuing Medical Education to provide continuing medical education for physicians. The Advancing the Science of Cancer in Latinos conference will be held at the beautiful Marriott Plaza San Antonio, located in the heart of Alamo city. Sitting on 6 acres of natural, lush Texas landscape, the hotel boasts plenty of shade from cypress and palm trees for a casual stroll. Just 2 blocks from the famous River Walk, the Marriott Plaza offers guests convenient access to the “Cradle of Texas Liberty”. La Villita Historic Art Village, Hemisfair Park and Tower of Americas are also nearby. A block of rooms has been reserved at the Marriott Plaza San Antonio for conference attendees at a special reduced rate of $124.00 single or double occupancy per night, plus tax. To receive the discounted room rate, reservations must be made by January 21, 2018. After this date, reservations will be subject to space and rate availability. NOTE: This special reduced conference rate will be available up to three days before and after our conference dates, based upon availability. Please use the link below or contact the Reservations Department directly at 1-800-228-9290 to request accommodations. 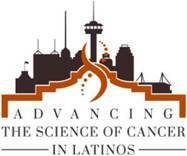 When making reservations, please be sure to mention that you are a member of the UT Health San Antonio group and that you will be attending the Advancing the Science of Cancer in Latinos conference. Parking is limited and based on availability. Please see front desk before self-parking. The Marriott Plaza San Antonio does not provide airport shuttle service. The hotel is located 9 miles South of the San Antonio International Airport (SAT).